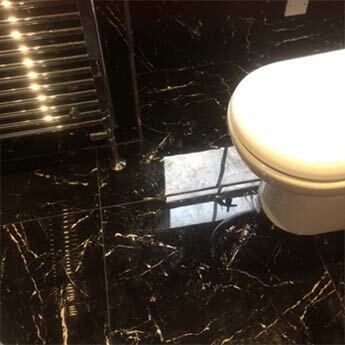 With its majestic marble effect this black ceramic tile will transform the look of walls in both residential and commercial properties. 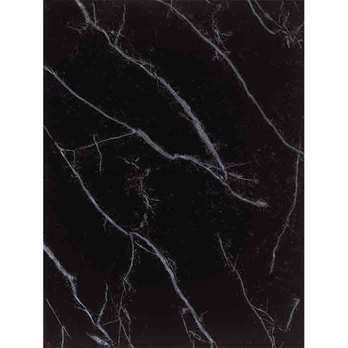 This emphatic tile has stunning white veins that will provide interiors with a majestic aesthetic. 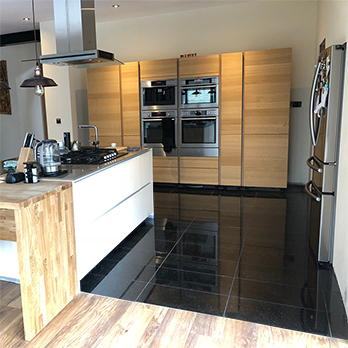 Interior designers and homeowners contrast these black tiles with light colours for trendy bathrooms, exquisite kitchens and chic and modern living and dining areas. 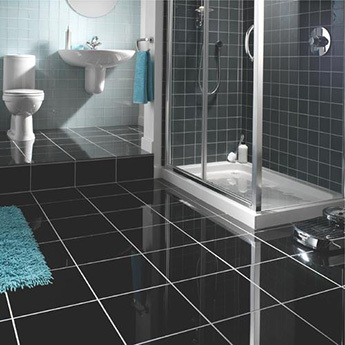 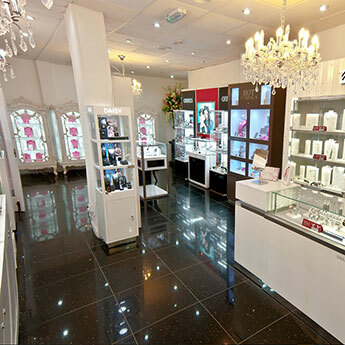 Black is a timeless colour that complements a range of designs, features and styles. 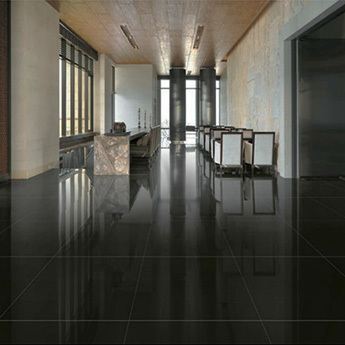 Architects recommend these classy tiles for a range of commercial installations, in the renovation of hotels, shopping centres and restaurants. 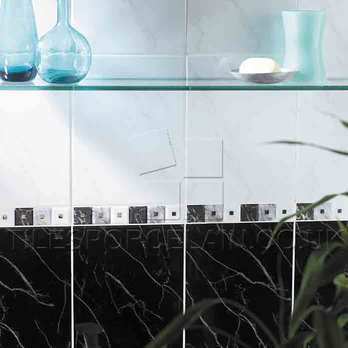 These tiles are strong, durable and hard wearing and extremely easy to clean and maintain.